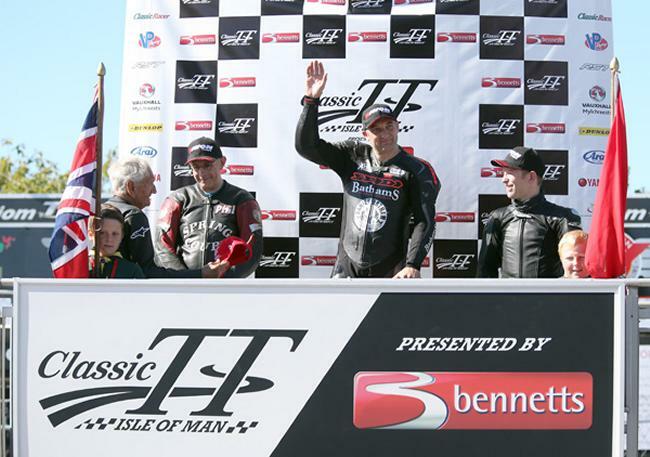 After a delay of almost four hours due to technical issues with the communications system between Sector Marshals and Race Control, the second day's racing at the 2015 Classic TT Races presented by Bennetts finally got underway at 2pm. Conditions were reported as perfect for racing around the Mountain Course with dry roads all round the 37¾ mile circuit. 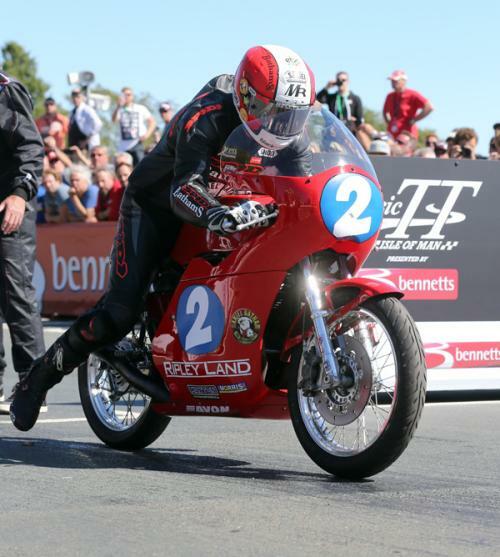 MIchael Rutter starts his race.